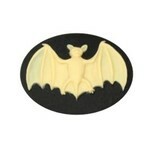 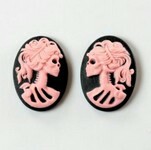 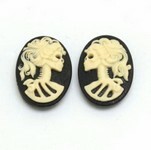 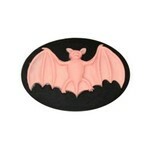 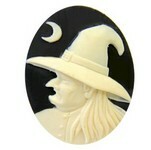 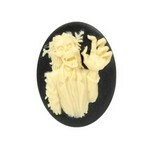 Resin cameos with a gothic theme. 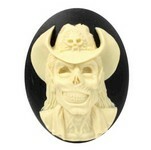 Skulls, skeletons, zombies , monsters and witches. 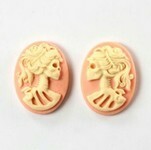 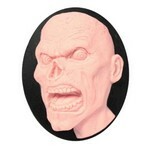 We have mexican sugar skulls halloween and day of the dead themes for creating punk style jewelry to various crafting projects.